In support of Autism Speaks, the Cubs are offering fans a Special Ticket Offer for the Cubs-Pirates game at Wrigley Field. 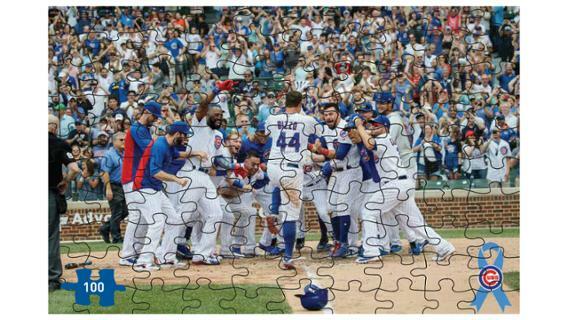 In addition to a ticket to the April 11 game, fans who purchase a ticket through this offer will receive a Cubs-themed 100-piece puzzle. A portion of net proceeds from the Autism Awareness ticket offer will be donated to Autism Speaks, an organization dedicated to promoting solutions for the needs of individuals with autism and their families through advocacy and support.